Victor Schramm founded his fee-only investment advisory firm, Victor Schramm, LLC, in Portland, Oregon, in 2014 to offer low-cost, wholistic financial planning and portfolio management to a wide range of clients. He received the certified fund specialist (CFS) designation in 2013, giving him expertise in mutual fund and ETF-based portfolio construction that has helped him build more efficient investing strategies for clients of any size. He also holds a Series 65 license. 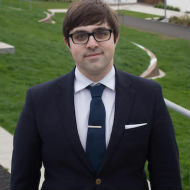 Schramm has bachelor's degree in Russian and East European studies from the University of Oregon. Schramm offers both portfolio and wealth management services on an ongoing basis where he manages client assets for a percentage of their assets under management, and he also offers hourly rate financial planning. A fee-only advisor, Schramm either charges 1% of assets under management or $125 an hour. Wholistic financial planning services and 401(k) and 403(b) portfolio management services are free for clients who elect to have Schramm's firm manage their assets. Schramm says his firm's investment philosophy is centered on building global-oriented portfolios and finding growth opportunities at a reasonable price. In addition to building portfolios with low-cost fund investments, Schramm's firm also uses individual stocks and bond investments when appropriate. His firm emphasizes tax efficiency and cost-saving strategies. To manage risk in client portfolios, he uses risk-tolerance models based on an in-depth risk profile and he generally avoids using derivatives to hedge risk unless specifically needed. Schramm specializes in serving individuals and high-net-worth individuals. He requires his clients to have a minimum of $20,000 in investable assets. Schramm says he typically communicates with his clients quarterly, though he'll be in touch more often if he's working with a client on in-depth financial planning. Schramm works with clients in three Oregon cities: Portland, Eugene and Silverton. Victor has 4 years of experience. Victor Schramm has no disclosures.